Only six months until you get to tie the knot? In a few short months, you’ll start the next chapter of your life. How exciting! I bet you’re already dreaming of wedding bells and honeymoon excursions, but before you can enjoy the special day – you need to plan it. 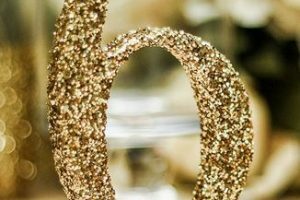 With so many details to keep track of, we’ve put together a 6 month wedding planning checklist to keep you on target in the pre-wedding process! Before we get to the list we just want to say a quick congratulations on your engagement! Savor each moment of your #engagedlife – happily ever after and all the preparation it entails is just around the corner! So then, on to the planning list! Your wedding day is one of a kind – so why wouldn’t your hashtag be just as unique? Wedding hashtags are like putting your signature on social media – you want it to be clear that it is yours – and yours alone. Seeking a little bit of help in drafting the perfect wedding hashtag for your big day? This FREE hashtag generator is a great place to start! The best part? It comes with an automatic checker to scan social media and ensure no one else has your unique hashtag! What a cool idea. 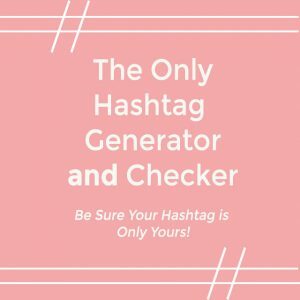 Check out this article to learn why we recommend a hashtag generator! This seems like a no brainer, but there’s a reason for this tradition! You’ll want to be sure of any religious or cultural (we’re looking at you, destination brides!) requirements for your ceremony that you may not be aware of. Some of these may take time to complete, so it’s recommend to meet with your officiant at least 6 months before the vows. Still trying to find that perfect officiant? 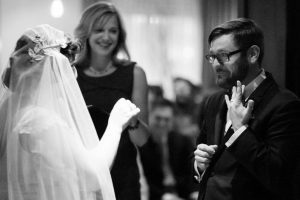 Check out this guest post for advice on how to find the ideal wedding officiant! Ever wonder when is the right time to send out these save the dates? Fear not! 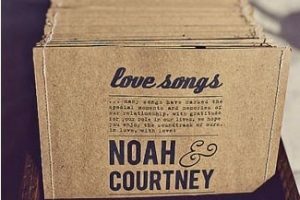 Check out this Insider’s Guide to Wedding Paper Goods Etiquette for answers to all your questions! Now’s the time to schedule some beauty trials. 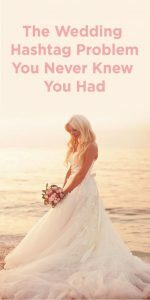 You wouldn’t buy a wedding dress without trying it on – so why should your hair or makeup be any different? Schedule test runs with hairstylists and makeup artists you are considering using for your big day to find the perfect look for your day! 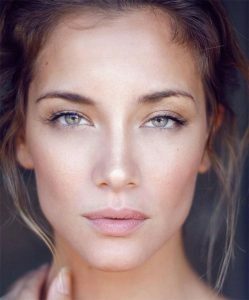 Natural makeup is very trendy right now, if you’re seeking inspiration – these 10 Refreshing Natural Wedding Makeup Looks are a great start! Notify your bridesmaids of any upcoming dress fittings. They’ll want to be by your side through the process, and it’s always more fun to be surrounded by your favorite girls! Speaking of bridesmaids – we know how special these women are in your life. If you’re seeking a truly thoughtful gift for your bridesmaids, these 5 ideas are sure to inspire. 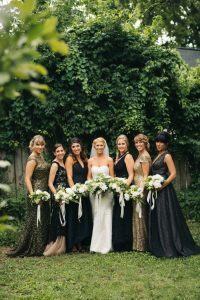 We’re still in awe of bride Meaghan’s breathtaking bridesmaid dress selections! Her glam Nashville wedding was one for the storybooks – check out some highlights from her big day in the video below! 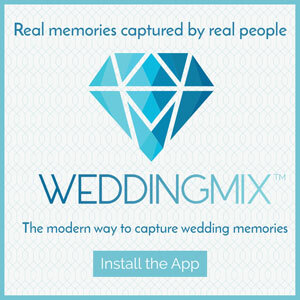 This video was filmed by friends and family of the bride and groom using the WeddingMix app and cameras. BTW, did you know that wedding videos are what we do? We are quite passionate about it. Our mission is to make it easy and affordable for every single new couple to get their very own amazing and personalized wedding video. Check out our packages starting at $199. Grooms! 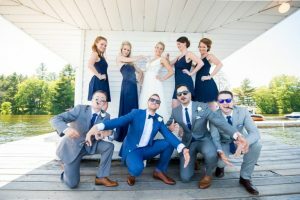 Choose your stylish wedding suit and determine what dapper looks your groomsmen will rock on the wedding day. It may help to refer them to local formalwear stores to ensure a uniform look! Groomsmen deserve some love too – don’t miss these 5 clever ideas for groomsmen gifts! Determine what places are the best fit your uncoming celebration! 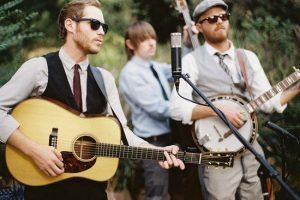 It’s time to reserve venues for the welcome party, rehearsal space, reception, and day after brunch (unless you’re planning on a restaurant, in which case you may need to book these closer to the date). Need help deciding on a venue? 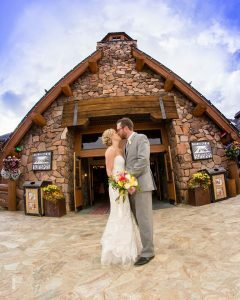 This list of wedding venue pros and cons is a great place to start! Details, details, details. Each of these selections helps to personalize your special day. At this point you should be finalizing details with your vendors. Now is also a good time to start figuring out your table cards – if you want them hand lettered, search for specialists in calligraphy in your area. And, we are one of these vendors. 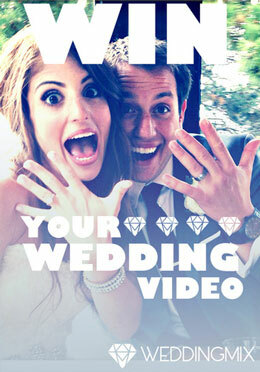 Six to 8 months pre-wedding day is a prime time to book your custom WeddingMix wedding video. 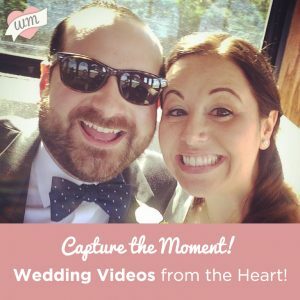 Relive the magic of your celebration for years to come with an affordable DIY video and sharable highlight reel – all seen through the eyes of your guests! 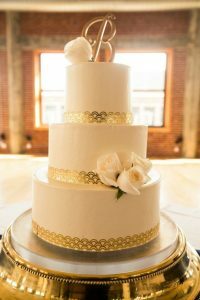 (See Meaghan’s video as a great example of a wedding mix video that your family and friends can help you create). For those of us with a sweet tooth, the wedding cake is kind of a big deal. This is a fun part of the planning process – tastings. Before you select the delicious dessert of your dreams, take advantage of local cake tastings to see what your options are. Not a cake person? 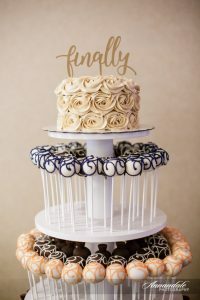 Check out these fun dessert alternatives to a traditional wedding cake that your guests are sure to love! From cake pops to ice cream towers, there’s something sweet for everyone! Before you even start combing through the amazing destinations out there – set a budget. Trust us, it’s easier to go into the process knowing what you can and can’t afford so you don’t fall in love with something just out of reach! Once you’ve done this, let the research begin. Tropical honeymoons aren’t the only way to go, you could also find yourself sipping wine in the Tuscan countryside with your true love or tucked away by the fire in a cozy ski lodge. Make your plans, book the initial accommodations (flights, hotel, transport). There will be time to research excursions and other reservations later. 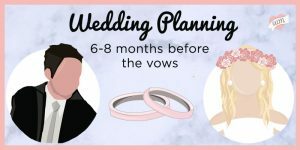 Keep track of your 6 month wedding planning process with this easy checklist! 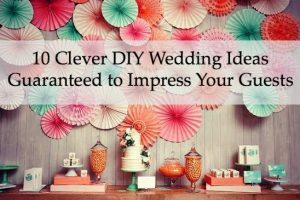 We hope this list has been helpful 6 month wedding planning advice! Have a tip you’d like to add? Comment below!